Amir Khan considering a $5M deal offered to fight WBO champion Terence Crawford next. Just when you thought Amir Khan and Terence Crawford had opponents lined up for the new year, think again! 3kingsboxing.com has learned Amir Khan is seriously considering an offer from Top Rank to face Terence Crawford on March 23. The offer is reportedly for 5 million dollars and would be for Crawford’s WBO welterweight title. Khan has also been in talks with fellow countrymen and bitter rival Kell Brook about a huge domestic showdown in the UK. A fight with Brook stands to make Khan twice as much money as he’d make to face Crawford. However, with a world title opportunity, this decision has been made even more difficult. While the fight seems to be inching closer and closer, it’s not yet a done deal. This, in turn, has left the door open for Bob Arum and Top Rank to come in and try to sway Khan to accept a lucrative offer to face Crawford. As for Crawford, he has a deal in place to face former welterweight titlist Luis Collazo, but has yet to sign his portion of the contract. 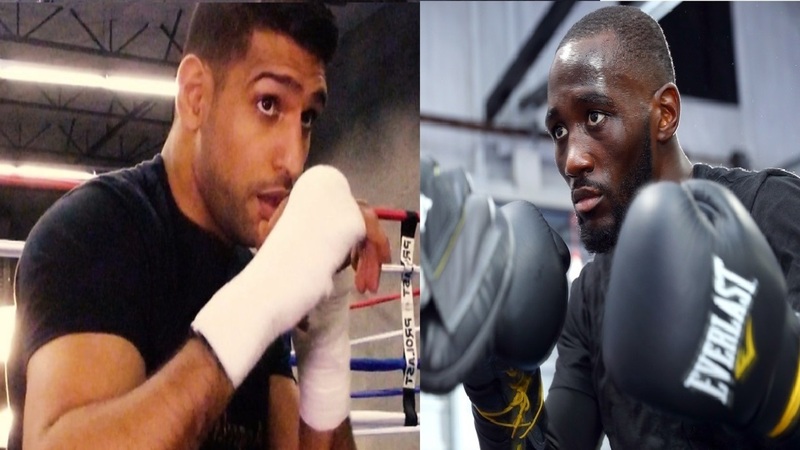 If Khan elects to fight Crawford, their fight will be aired live on ESPN pay per view. Things will surely get interesting over the next few weeks.